Now it's time to use the CNC for the first time. I will show you the first setup in detail and take you with me when I fire up the machine. The first cockpit task for my CNC router. 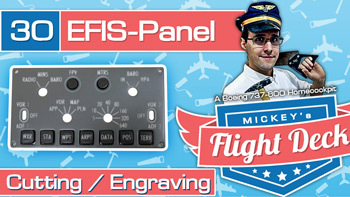 I'm making an EFIS panel. Please keep the videos coming! The glareshield is covered with leather and I have installed my first LED lighting. Today I present you the first episode of my new series "The Cockpitshow". 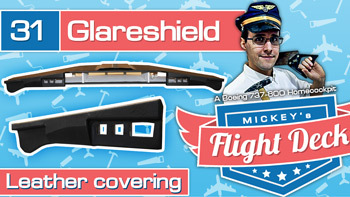 In this show you have the possibility to present your homecockpits or special builds to the community. If you want to be part of the show then visit my website for further informations about the pictures you have to send to me. I hope I will see you soon in one of the next episodes. Page created in 5.287 seconds with 28 queries.